The Canadian Community Newspaper Awards celebrate the best in community publishing from across the country. Newspapers of similar circulation size compete against each other and are judged by a panel of industry experts. With a diverse array of awards categories covering editorial, photography and multimedia, the Canadian Community Newspaper Awards offer learning opportunities for publications of all sizes. 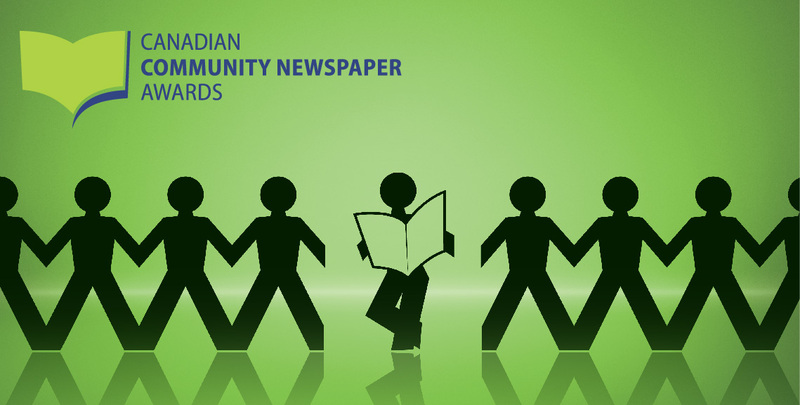 The Canadian Community Newspaper Awards (CCNAwards) are back and better than ever before. English- and French-language community newspapers across the country are invited to compete in News Media Canada’s annual awards competition, which celebrates the very best in community journalism. English- and French-language competitions will be adjudicated separately (subject to a sufficient number of entries in both competitions). For an overview of entry procedures, click here. Entries are now being accepted online for the 2019 Canadian Community Newspaper Awards. Click on the button above to create your account and submit your entries online. The entry deadline is Friday, April 12, 2019. Send in your entries early for a chance to win back your total entry fee. Newspapers that submit their entries and payment by Friday, April 5, 2019, will be entered into this special early-bird draw. Open to News Media Canada members only. The entry period for the 2018 competition is now closed. Winners will be announced on Monday, July 16, 2018. News Media Canada is pleased to announce the winners of the 2018 competition. Campus Newspaper Division: The Algonquin Times, serving Algonquin College in Ottawa, has been named the Outstanding Campus Newspaper. The Varsity by the University of Toronto earned three awards in writing and photography, while The Gazette of the University of Western Ontario earned the Best Campus Website award. News Media Canada would like to thank all of the newspapers, judges and sponsors who participated in the 2018 Canadian Community Newspaper Awards. We are honoured to continue this annual recognition of the outstanding achievements of the community newspaper industry.